Posted on October 09, 2017 at 8:00:00 am by Emma C.
Growing up in Fort Wayne, my family and I participated in many Indiana fall traditions. We picked apples at the orchard, trick-or-treated in the neighborhood, and visited animals at local farms. As I’ve matured, my interests have changed and so has my community. I appreciate Fort Wayne for all of our beloved, long-established traditions and love nothing more than making new ones. 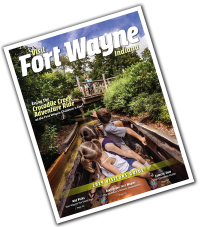 Whether you want to experience the contemporary arts scene and enjoy modern cuisine or would rather peruse the History Center and take a stroll on some of the best trails for leaf-peeping in the area, there are so many ways to visit Fort Wayne this fall! There are many ways to celebrate the arts in Fort Wayne. There are several galleries that showcase award-winning exhibits such as the Fort Wayne Museum of Art and Castle Gallery. If musical theater is more up your alley, the historic Embassy Theatre hosts several Broadway shows and other performances every year. Fort Wayne also boasts an extensive and acclaimed community theatre scene; catch your favorite productions at Arena Dinner Theatre, Three Rivers Musical Theatre, and the Fort Wayne Civic Theatre. What a better way to celebrate Fort Wayne’s history, agriculture, music, and art than with a festival. During the start of the fall festival season, visitors can enjoy festivals like Middle Waves Music Festival and Johnny Appleseed Festival in September. Middle Waves Music Festival, brings big-name acts such as MGMT and the Flaming Lips. 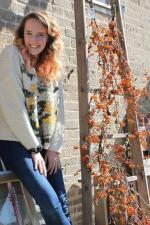 Plus, visitors can enjoy food trucks, fun displays, and more from the Good Vibe Tribe. If you missed the Johnny Appleseed Festival, mark your calendar for September 2018 to get a glimpse of the past, and indulge in smokey barbeque, freshly baked pie with ice cream, spiced apple cider, and more goods all crafted right in front of you! There is something for everyone to enjoy. 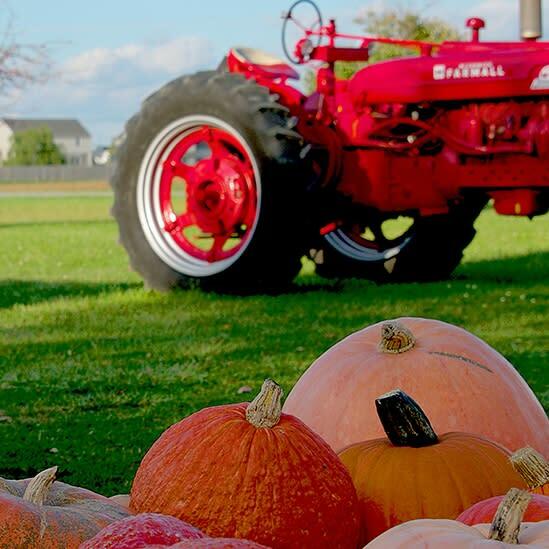 If you&apos;re planning a visit to Fort Wayne still this year, check out Kuehnert Dairy Farm & Festival for some classic fall fun! 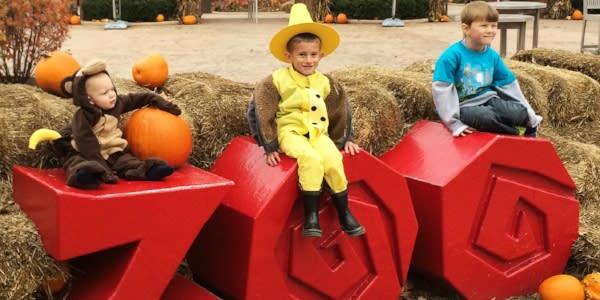 Visit the local dairy farm for everything from pumpkin picking and animals to hayrides and corn mazes. Plus, for a spooktacular celebration, make plans to enjoy Fort Wayne&apos;s Fright Night festival filled with haunting fun, and a zombie walk! Have some fun in the great outdoors in Fort Wayne! Walk, run bike or skate over 90 miles of trails. With the help of Fort Wayne Outfitters, you can rent anything from bikes to kayaks to cruise through Fort Wayne. Also happening in town is a plethora of races and 5ks if you are looking to push yourself and test your athletic endurance. Say cheese! If you are looking to capture moments with some of the best scenery in the city, we have some location recommendations for you! The Botanical Conservatory offers 7 different gardens hosting more than 1,200 plants within their 25,000 square feet grounds. This unique Fort Wayne spectacle is the perfect spot for your next photoshoot. Snap a pic downtown around the city’s multiple art installations! Around every corner, you will find a mural, multi-purpose art, and sculptures! Fort Wayne is also known for its pristinely restored architecture. 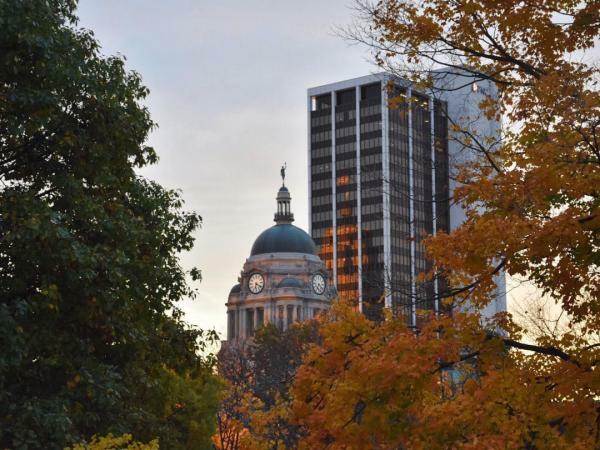 The timeless designs of the Allen County Courthouse, Wells Street Bridge, and Lincoln Tower is sure to be a shutterbug’s dream! 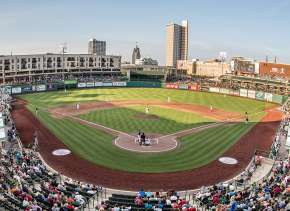 Make the most of your Fort Wayne getaway by including an educational activity. 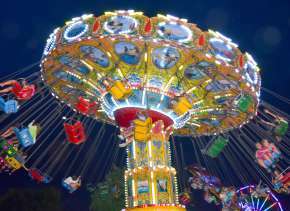 Discover an endless amount of exhibits, activities, and shows that will make your trip truly memorable. 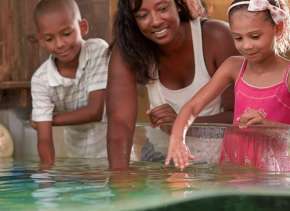 Ranked as one of the Top 10 children’s zoos in the nation, The Fort Wayne Children’s Zoo provides you with a fun, exotic adventure like no other! In the fall, enjoy the Wild Zoo Halloween for a spectacular fall display, and enjoy some of your favorite animals! On a rainy day, come find out why Science Central, the hands-on children’s science museum, welcomes over 2.5 million visitors every year! With exhibits ranging from meteorology to physics to spiders, there’s bound to be something that everyone in the family will enjoy! Fort Wayne is home to more than 15 incredible museums. Spend your day learning about local history at the History Center, view award-winning pieces at the Fort Wayne Museum of Art, or discover something unique at the Firefighters Museum.